4*50 Alternate Free/Back 40 seconds each. After my workout I was walking back to the locker rooms with my bag, looking at my instagram on my phone and walked into what I thought was the girls room. I took about 4 steps in before I looked up from my phone and saw a bunch of guys in different stages of undress staring at me. 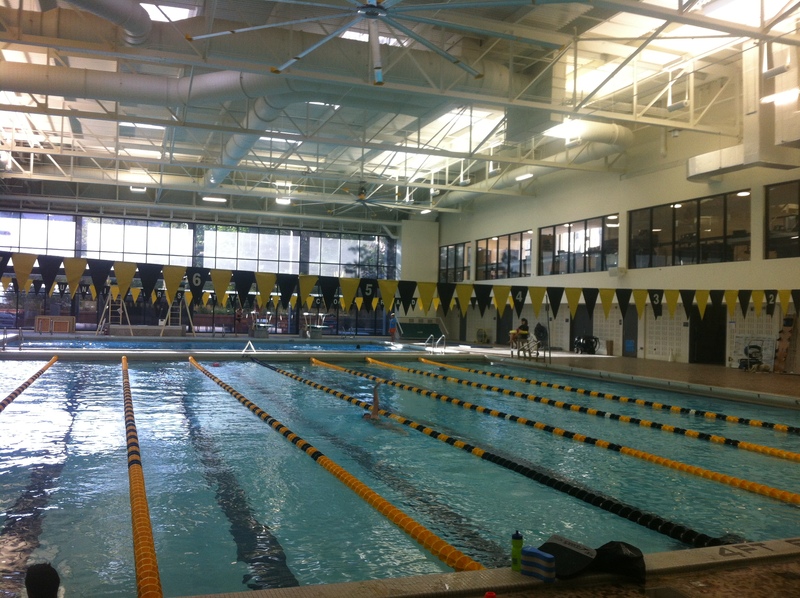 Turns out I had wandered into the guys locker room and the swim team was in there changing after practice. I muttered an awkward “Oh, this is the mens room” and walked out to the sound of guys cracking up. Whooopsiesss. Hopefully it just provided a good story and no one was actually offended. As always, I remembered how much I love swimming. The silence of the water makes you really tune in to yourself and the way your body is moving. It also provides a good time to reflect on the day and any work problems I have going on. I think I might incorporate it weekly into my workouts, to help relieve my muscles while still working on my cardio. Gotta love swimming! This entry was posted in Uncategorized and tagged cross fit, cross training, swim, swimming, Workout by fionaboger. Bookmark the permalink. Nice swimming workout! Eventually i’d like to add swimming on some cross training days-it’s definitely a great cardio and strength workout, and good for a Crossfitters often abused joints! Definitely good for Crossfitters! Rests the joints and stretches the muscles! Oh yes girlfriend, we are meant to be friends. 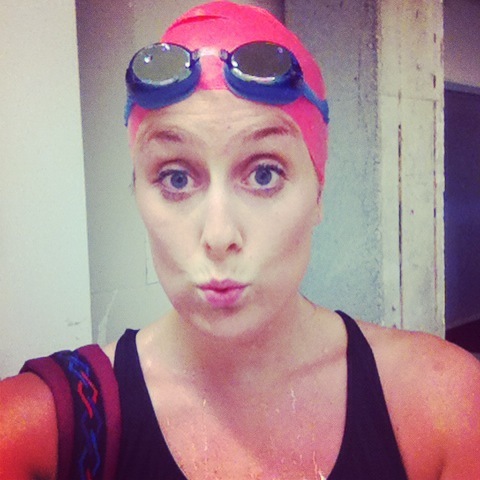 Swimming is something I’ve recently incorporated as cross training because of the low impact but high muscle training! It’s great for endurance too! I love it so much lately that I’ve been doing it just as much as running and I swear that’s what’s keeping me from feeling awful after long runs. Swimming = love.